Silvers are perennial soft targets. In fact, according to the National Crime Record Bureau (NCRB) 2016 report, 21,410 cases of crime against silvers were registered in India—and countless more surely went unreported. Thus, the security of your home should be a paramount consideration. 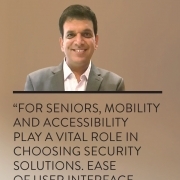 Highlighting the need for user-friendly security devices, Mehernosh Pithawalla, vice-president and global head – marketing, sales & innovation, Godrej Security Solutions Division, Godrej & Boyce Mfg. Co. Ltd, shares his takeaways across key parameters. Modern devices, with their intuitive and simple user interface, outsmart criminals by working on the ‘deter-detect-act’ principle and outsmart criminals. 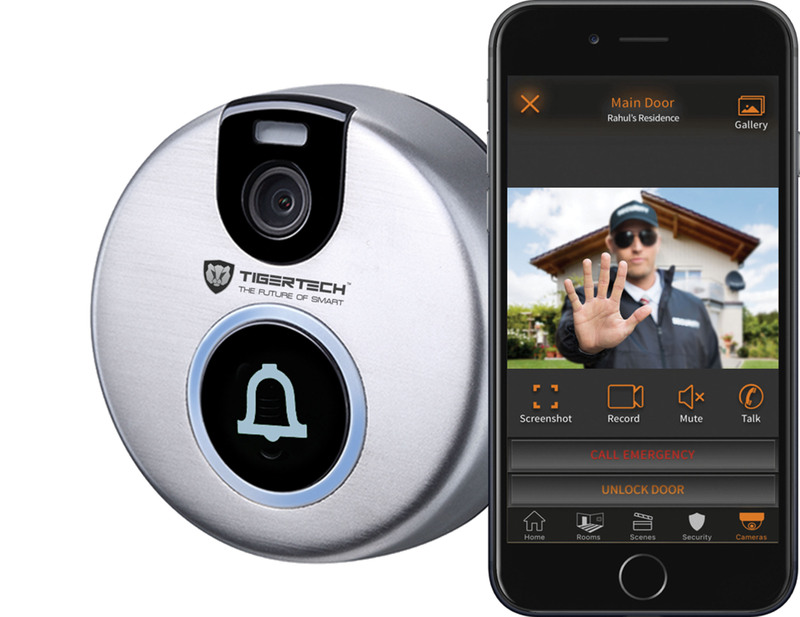 Key products for silver security include video door phones, Wi-Fi-enabled home cameras, motion sensorenabled burglar alarm systems and biometric-enabled home safes. The cost of these modern security solutions begins from ₹ 4,000, depending on the intricacy and level of sophistication based on the threat perception and number of systems put in place. The ability to stream video from video door phones to the television, landline or mobile phone helps monitor visitors and grant or deny them access without having to move around much. Access to the video stream can also be granted to neighbours, siblings or relatives. DIY-enabled home cameras can keep track of how caretakers are treating the elderly. Wi-Fi enabled home security cameras allow people to speak with their parents from anywhere, at anytime. Home alarm systems are important in unfortunate or emergency situations such as fires or intrusions. They raise an alarm, alerting neighbours, and send SMS alerts to preregistered mobile numbers. Biometric-enabled home safes do away with the hassle of memorising passwords. Don’t let people know when you are alone at home. Don’t open the door to strangers; use the convenience of a wireless video door phone. Always ask for photo identification from service or delivery people before letting them inside the house. If you are worried, call the company to verify. Do a thorough check before appointing a maid or other household help and always get them registered with the nearest police station. Install sensors and alarm systems on doors and windows. Opt for automatic dialling facilities with health-related emergency numbers. Keep emergency numbers of the nearest doctor, hospital, police station, etc, on speed dial so no time is wasted on communication. Maintain a diary with telephone numbers of your immediate family members and neighbours. Avoid keeping cash, jewellery or valuables at home and out in the open. Keep them secured in a home safe. Anchor or bolt your safe to the wardrobe or to the ground. Organise systems to reach out to other senior citizens and assist each other in an emergency.  VIDEO DOOR ENTRY PHONE: This wall-mounted phone doubles as a security camera with dual communication. It facilitates interaction with the visitor, even from the comfort of your sofa. The high-resolution pinhole camera captures minute movements and helps detect any kind of trouble before you grant access with the press of a button; the infrared LED allows visibility even at night. 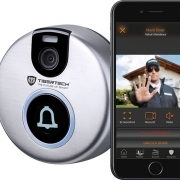 PRICE: ₹ 5,000 to ₹ 25,000 TIP: For a cheaper solution, digital doormen are available in the form of smart doorbells with a camera that keep track of anyone at the door. 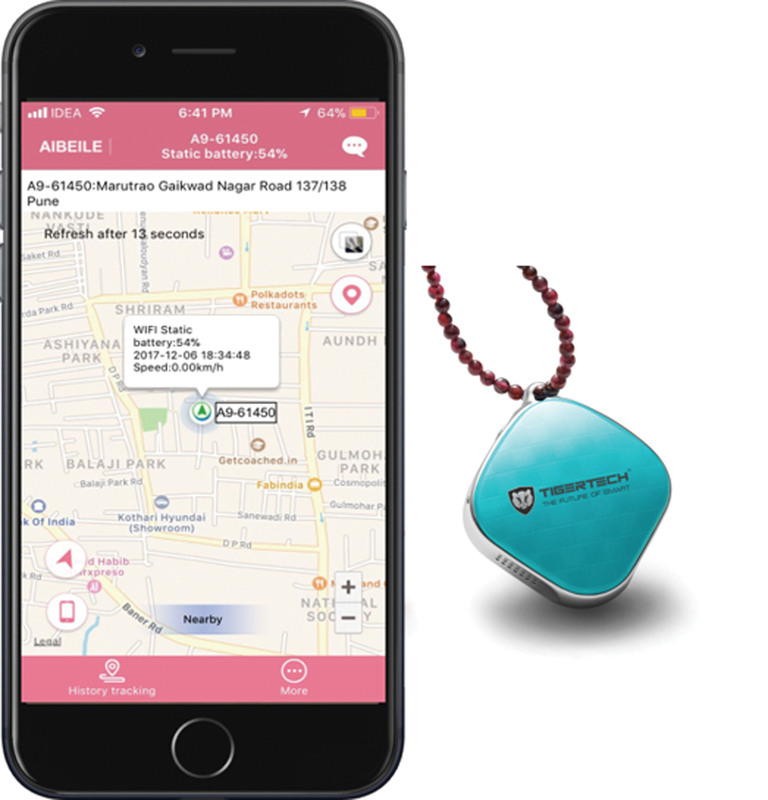  The X FACTOR: The Smart SOS Tracker is a GPS-enabled device with an SOS button that can send an emergency alert to your family—even if you don’t have a mobile phone. 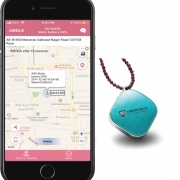 With the press of a button, it automatically dials emergency numbers for a two-way call; an ideal form of protection against falls, mistreatment by caregivers and getting lost outdoors owing to forgetfulness.  PEEPHOLE VIEWER: The conventional peephole or door viewer remains a great way to prevent intrusions. Ensure it is at a proper height and never forget to look through it every time you answer the doorbell. LCD peephole viewers come with a screen and show the image of the visitor. PRICE: ₹ 5,000 to ₹ 25,000 TIP: Door chains or door limiters come in very handy when you forget to peep through the door viewer.  SAFETY DOOR: A basic measure is to fix a safety door installed as an additional layer of security. A half-metal grill door provides privacy and helps you see the visitor from behind the barrier. A third layer of protection in the form of a sliding or collapsible grill or rolling shutter door is also useful. PRICE: ₹ 10,000 to ₹ 15,000 TIP: If you have a terrace or balcony, secure it with an iron railing, especially if you reside in a high rise. And ensure doors and windows are made of toughened glass.  SMOKE DETECTOR: A wireless smoke detector sensor system protects you and your property in case of a fire. It identifies the presence of smoke in the room and instantly sounds an alarm. The battery-operated device runs on your home’s electrical system. You can install a smoke alarm in your kitchen as well as your bedroom or other areas. PRICE: ₹ 600 to ₹ 1,200 TIP: While fire safety measures are mandatory for residential complexes, get a portable fire extinguisher for your own home for extra safety and install it near the exit door.